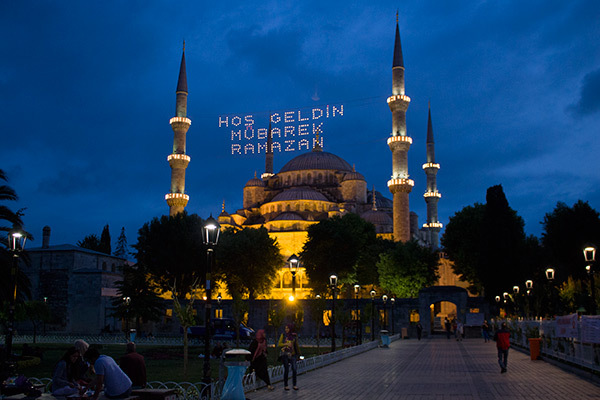 In 2013, Thomas and I joined a group of friends from Berlin in our favorite city on the planet, Istanbul. 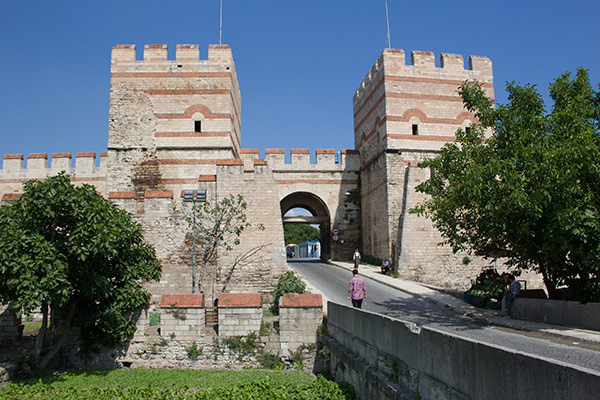 I had been to Istanbul twice before and had seen most of the tourist attractions there, but there was one thing I had never done, one thing I insisted we do: I wanted to walk the entire length of the Theodesian Walls, the legendary walls of Constantinople. Ok Tony, this post has peaked my curiosity. 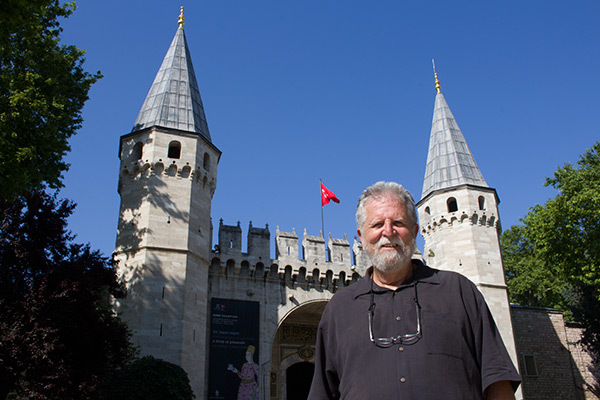 I’m ready to meet you at the Palace of the Porphyrogenitus for that 6 kilometer hike to satisfy your wall fetish, however you have to buy the baklava with kaymak before we head out! 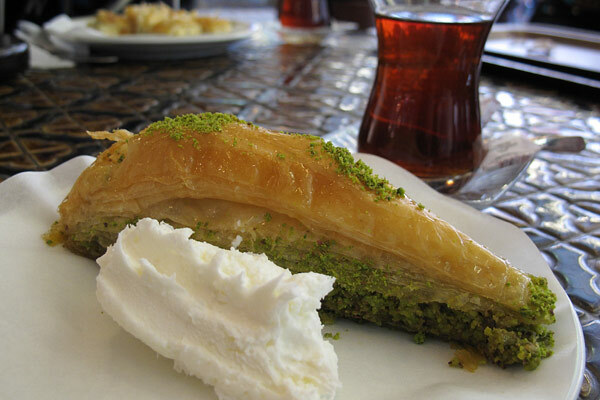 He was referring to a picture in the post of the SPECTACULAR baklava at Karaköy Güllüoğlu. Uh, you don’t have to ask me twice!!! Two years later, we met in Istanbul to fulfill that promise. We had baklava at Karaköy Güllüoğlu (did I actually pay?) and headed out to walk the length of the walls from beginning to end. 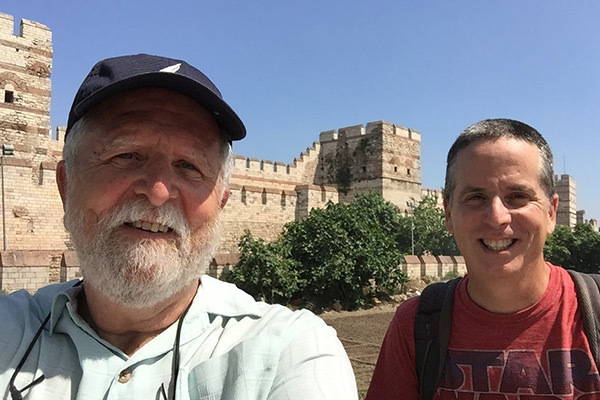 We took the ferry to the Ayvansaray, wound our way up the backstreets past the Palace of the Porphyrogenitus, took a quick side trip to the Byzantine Chora Church, and then we walked along the outer walls past a series of gates, towers, and bridges that have survived the onslaughts of some serious history. 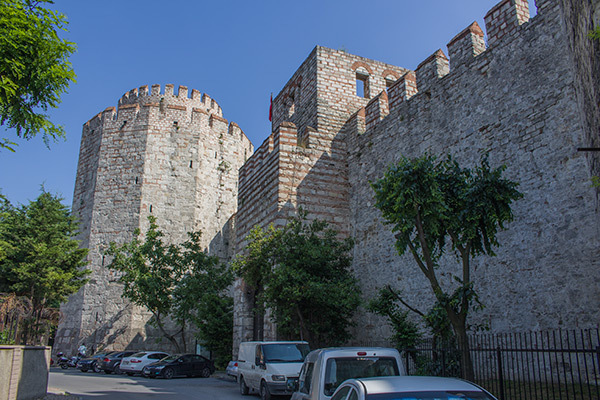 Our final destination brought us to Yedikule Fortress and the Marble Tower. Success, my goal was achieved! One sign of current events that I should point out was the large number of Syrian refugees camping in the shadow of the walls. 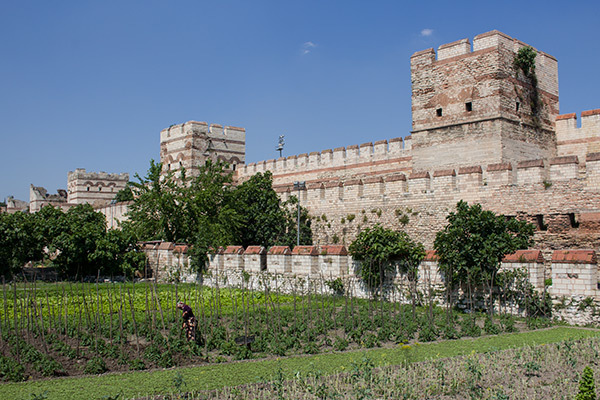 But our Istanbul adventure took us well beyond the walls. 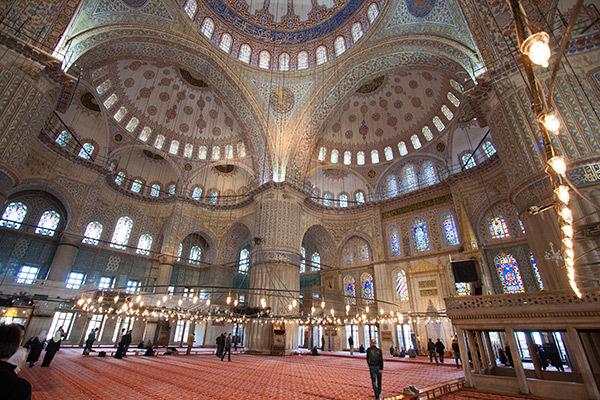 We explored my favorite building in the world, Hagia Sophia, and ventured into the city’s greatest treasures including the Blue Mosque and the Süleymaniye Mosque. 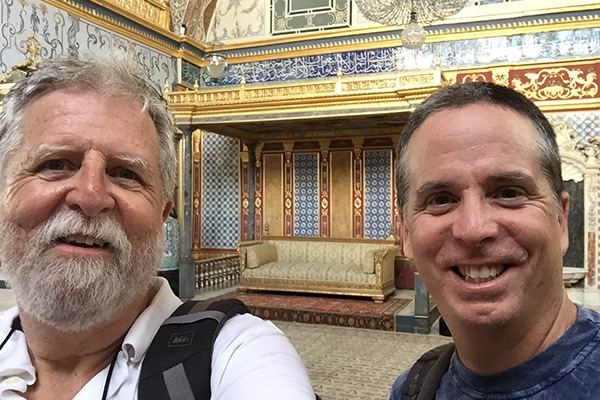 We cooled off in the shadows of the Basilica Cistern, explored the ornate halls and gardens of Topkapı Palace and gazed at the Byzantine mosaics of Büyük Saray. 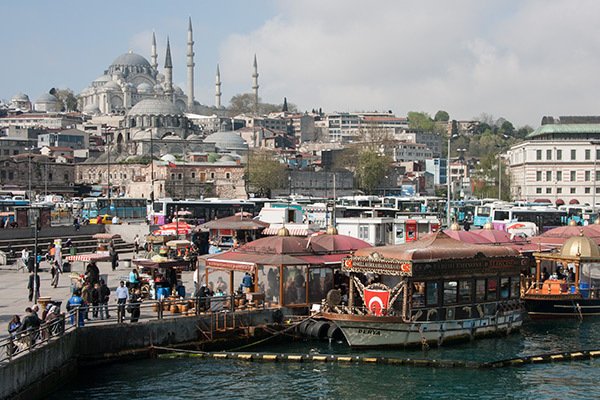 Istanbul is one colorful attraction after another. 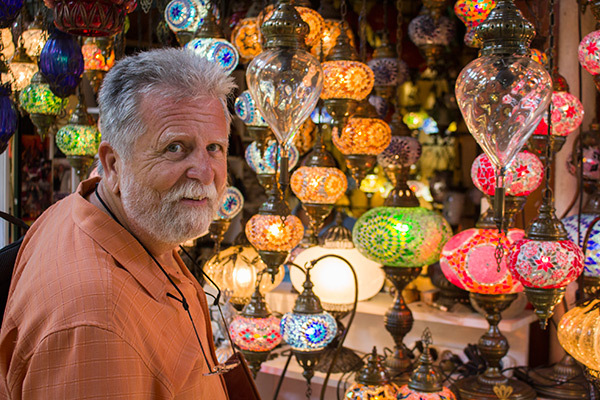 We dove into the Grand Bazaar, the most famous of Istanbul’s markets, and fished through the sea of treasures searching for discoveries. Carpets, lamps, sweets and spices. Gold, diamonds, and Turkish delight. 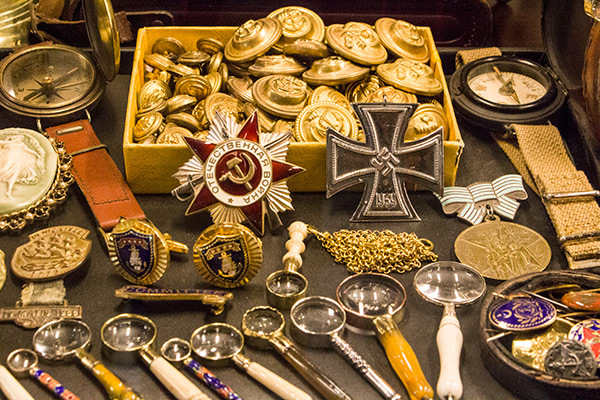 Hidden deep within the bazaar, we found one booth full of curious items: brass sextants, telescopes, anchors, military pins, brooches, cameos, even Soviet and Nazi badges. Strange glittery items that had piled up into one very historical find. Dad and I lingered in a bazaar tea house and people-watched as local salesmen and tourists crisscrossed the labyrinth of stores. 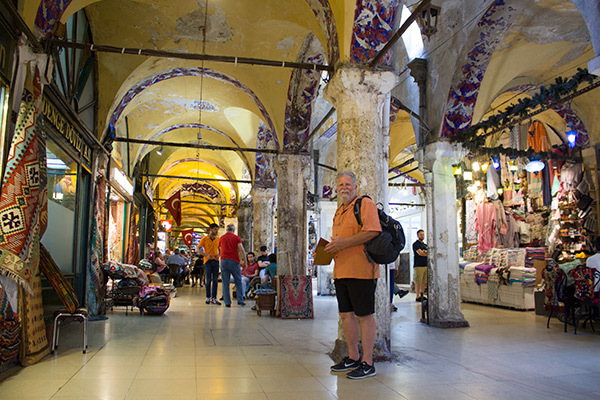 It’s a tourist staple, but the Grand Bazaar will always be one of my favorite places in the city. 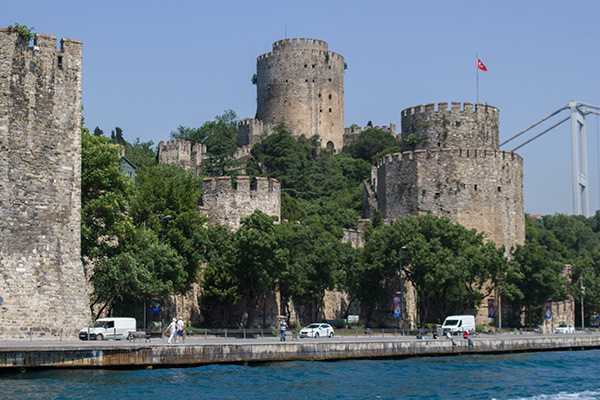 Eager to see beyond the city limits, we hopped a ferry up the Bosphorus and floated past the massive fortified walls of Rumelihisarı to the tiny enclave of Anadolu Kavağı. 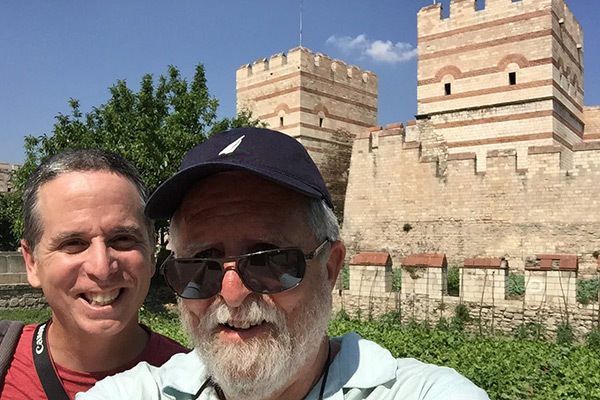 We stuffed ourselves with fish in the village, climbed up to the fortress overlooking the Black Sea and gawked at the EXTRAORDINARY half-constructed bridge hanging over the mouth of the strait. 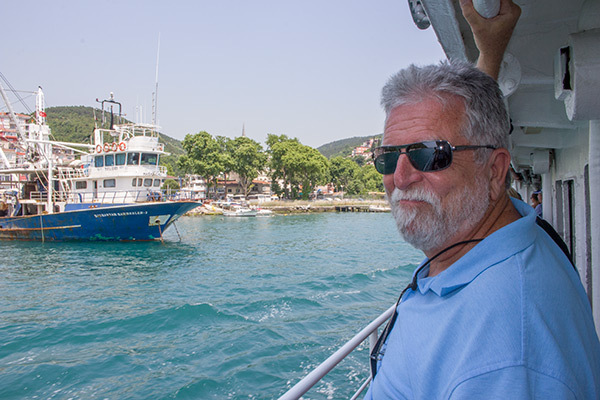 On the way back to Istanbul, we floated along sipping the classic ferry tea. 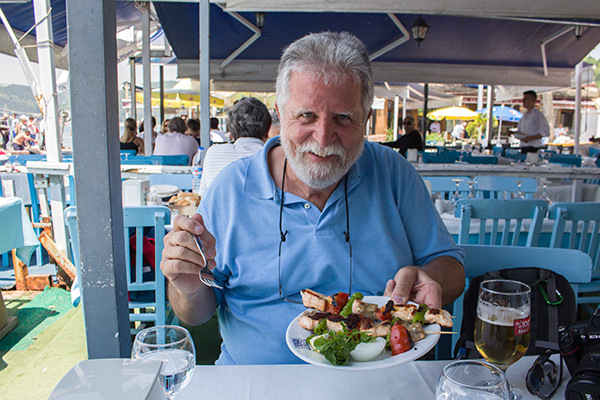 My dad seemed to love everything he tasted, but hilariously, he seemed to love breakfast more than anything. 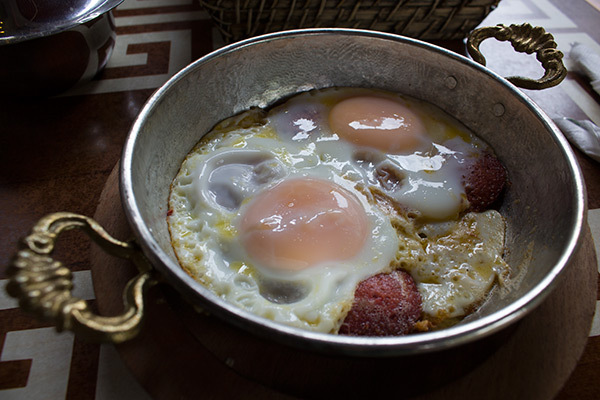 My dominant memory from this trip will always be breakfasts at our corner cafe in Cihangir or at Karaköy Güllüoğlu. (Sorry Özgür and Leonie, sometimes I just can’t wait for my baklava with kaymak.) I don’t think anyone has ever expressed so much enthusiasm for breakfast as my dad at the corner cafe. These meals will last in my memory forever. And that was really the point of this trip, sharing my favorite city with my dad and experiencing it through his eyes. 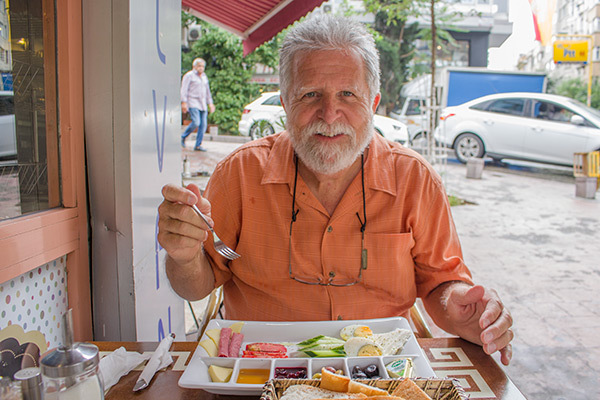 I have visited Istanbul several times now, but this adventure with my dad was like rediscovering the city for the first time. It was about exploration and eating, laughing and enjoyment. It was ten days of talking and discovery. 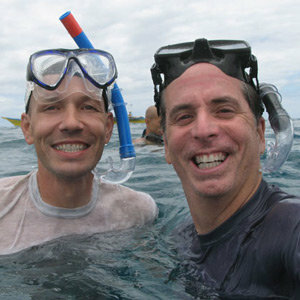 I can’t express how much I loved this trip – it truly was Tony and Larry’s awesome adventure. I suggest that everyone out there in Internet land get up right now, call their dad, and start planning your next adventure together. This is so good! I’m totally jealous. 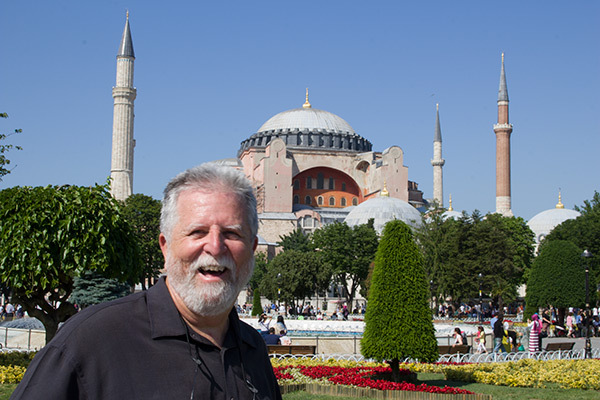 Istanbul would be so out of my dad’s comfort zone he would probably pass out if I suggested the idea. I don’t think I could get him to even leave San Jose. Gina, Don’t underestimate your dad. Maybe he is up for an adventure that would take him out of his comfort zone. Why not ask him? I know we were both speechless at the airport when we were heading home after this trip…..it is the best trip we have done….so far…you have captured it so well here in words and photos! Thanks. What do we do…next? Dad, I didn’t want the fun to end. Now, we need to plan our next adventure together. 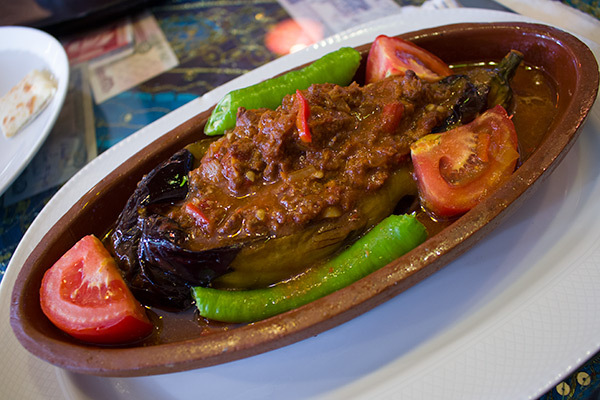 Well, you know how we feel about Istanbul. We hope to go back a hundred more times. And eat, eat, eat. How great to hear from you. Dad told me about you and also mentioned that your comments on Istanbul helped convince Carli that she wants to visit Istanbul as well. Yay. Thanks for writing to let me know just how much the trip meant to my dad. It’s always great when someone else says it too, so that I know he isn’t just being nice. 🙂 Although I had a pretty good idea that he was enjoying himself by the way he was smiling so much.